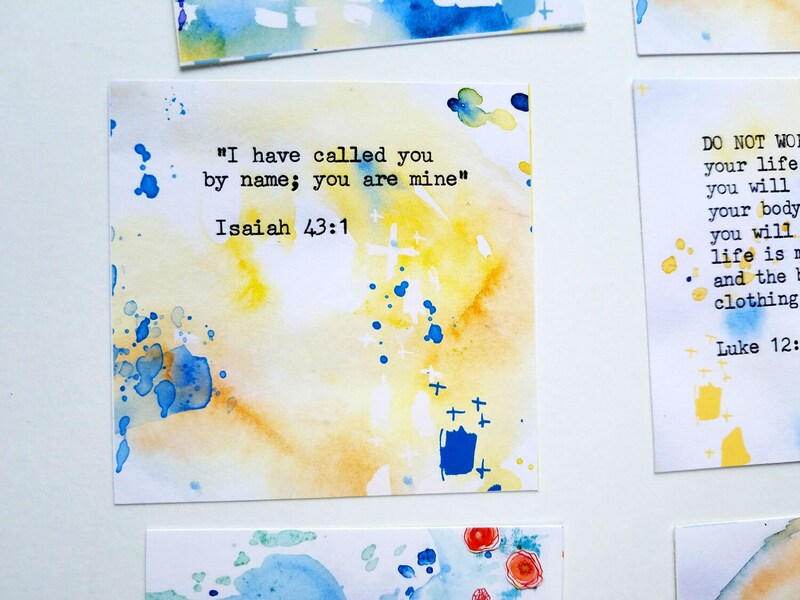 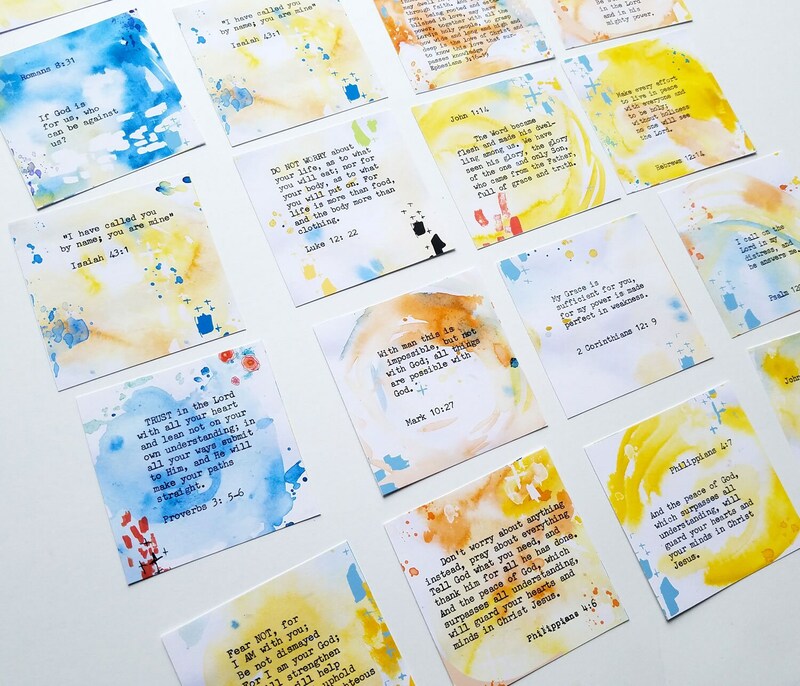 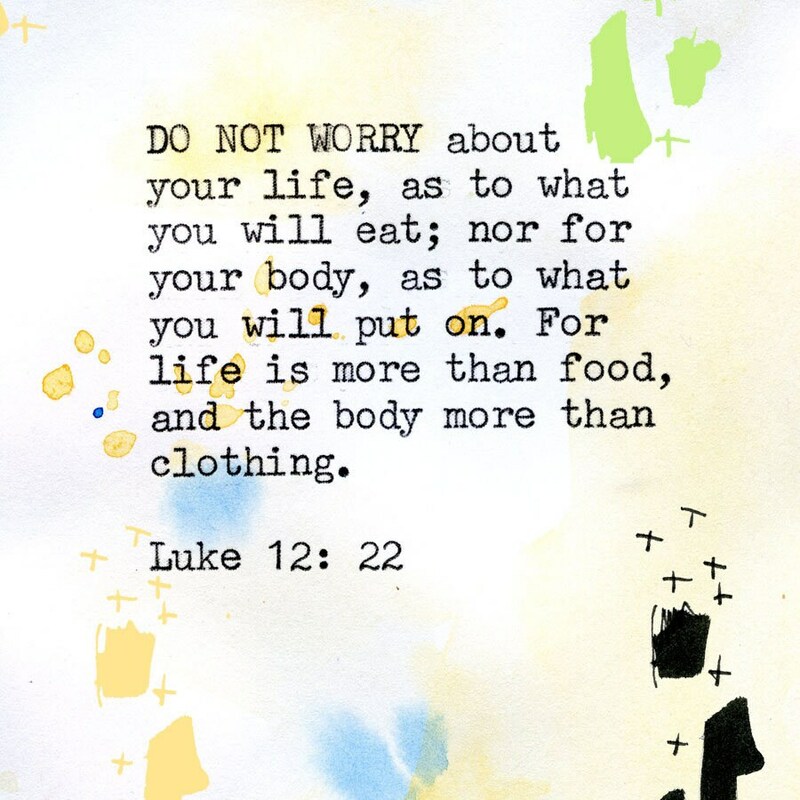 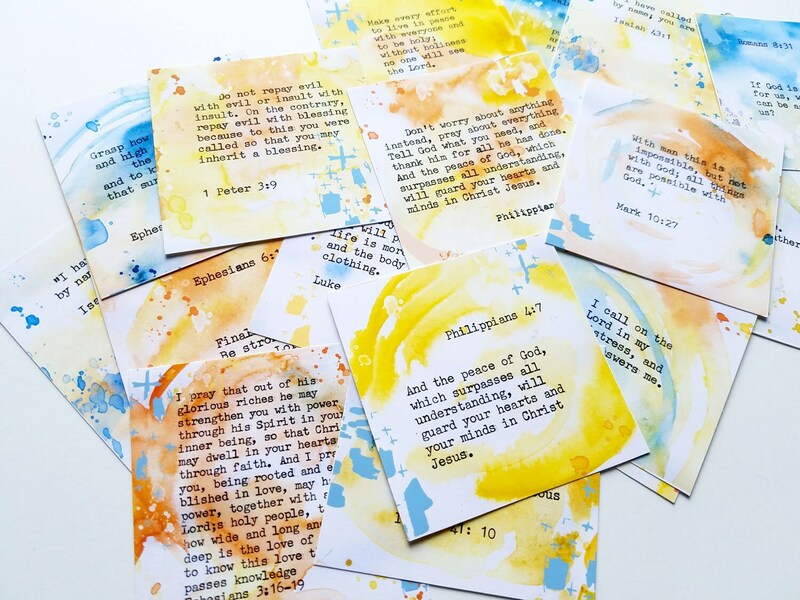 A set of bible verses done on watercolor backgrounds and my typewriter - I love the real typewriter font and just simple watercolor backgrounds where the swirly brush strokes hint towards galaxies and God's awesomeness. 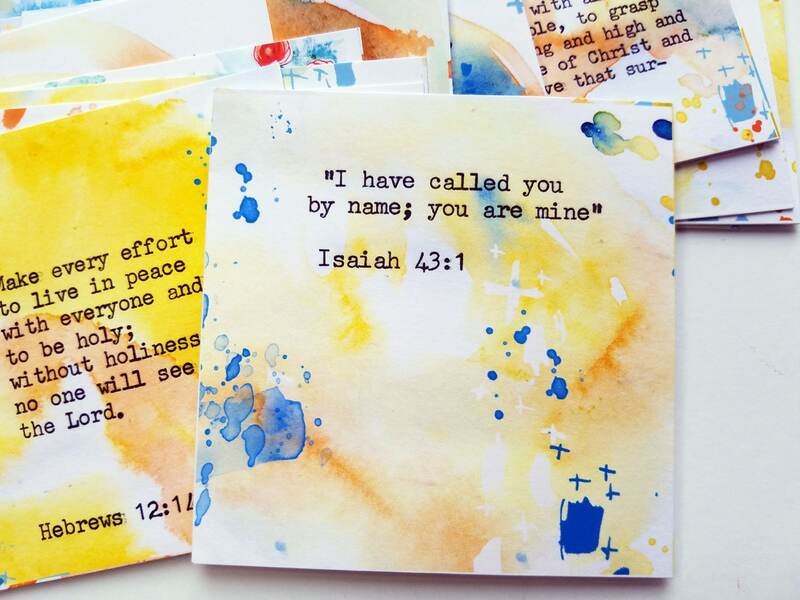 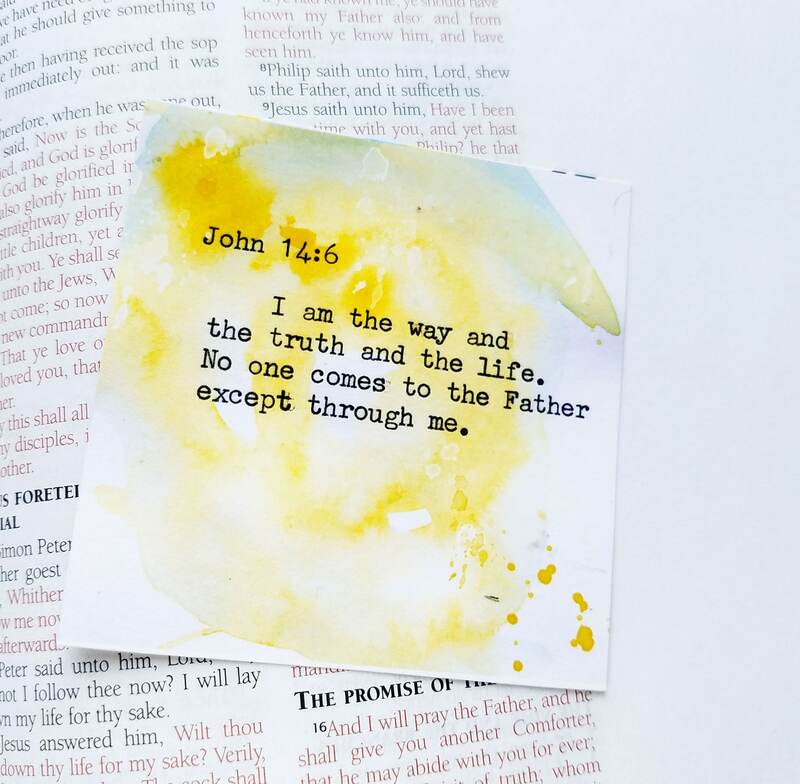 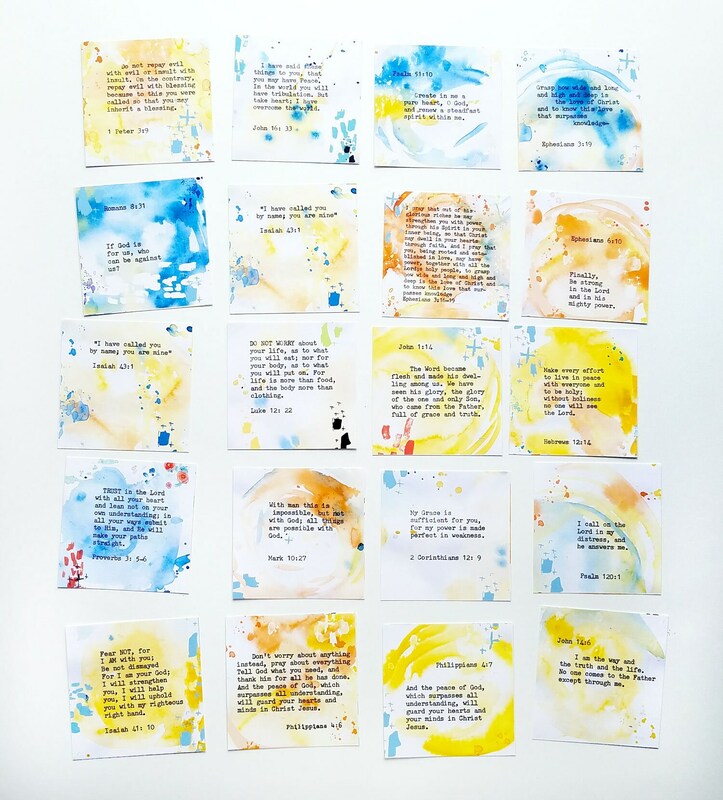 You can use the lovely cards for bible journaling, faith journaling, little notes to put in your child's lunch box, along with note cards, mirror notes for daily reminders and encouragement, gift tags or whatever your creative mind comes up with! 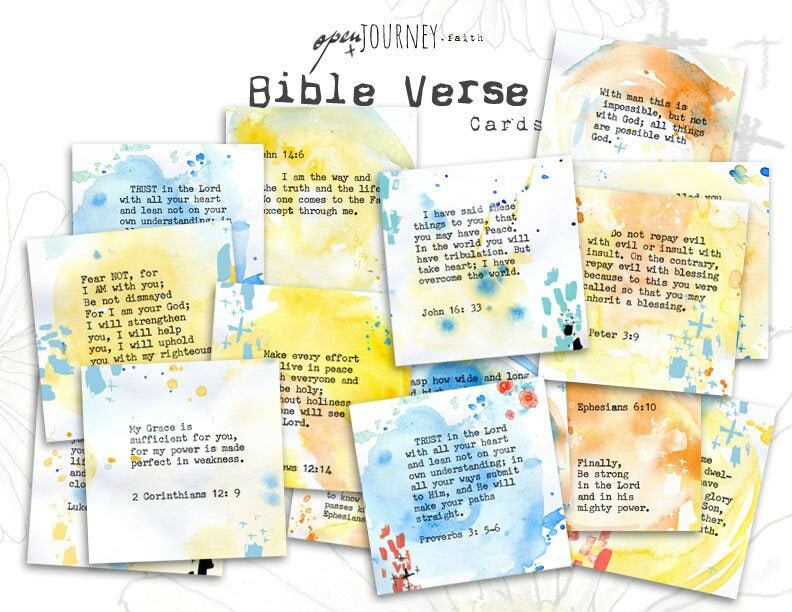 The set contains 24 cards, each measuring 3x3 inches, printed on matte card stock weight paper. 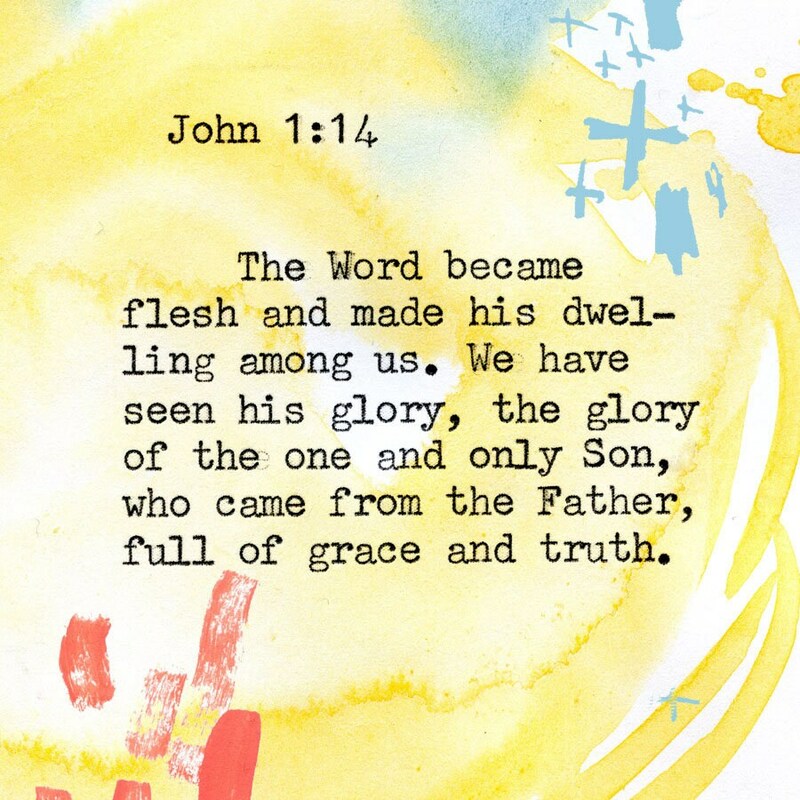 Archival.